This IEA Bioenergy Task 32 study explores the role of thermal biomass power plants in the future, using a system approach. In this analysis, development of the European power system is projected highlighting a thermal-dominated area, exemplified by Germany. 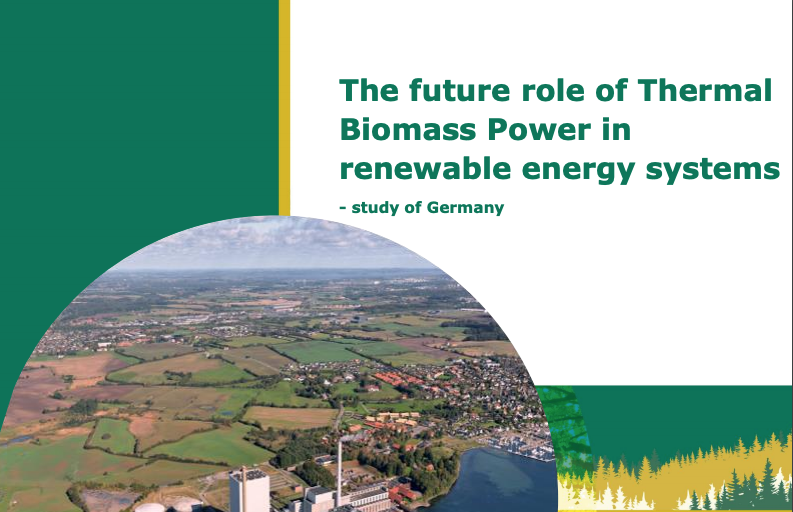 The role of biomass technologies towards 2040 is analysed in two scenarios, Reference and Biomass+, utilizing the Balmorel model, a fundamental mathematical model of power and heat systems reproducing the day-ahead market dispatch and future development of the generation fleet. It can be concluded that the existing and estimated future market conditions alone will not be able to drive substantial amounts of thermal biomass power into the German (and European at large) energy system up to 2040 due to competition with existing fossil fuel plants and cheap wind and solar investments. Special framework conditions and/or low feedstock prices are needed before significant investments in thermal biomass power capacity and a high number of operational hours will take place.